India food market is exploded with organic food products. The anticipated growth of Indian organic food market is over 25% in the coming three years. Also, there has been a growth in the organic farming in India. Consequently, people are getting aware of the pros and cons of using organic products. Such trends reveal tremendous growth opportunities for venturing into the organic food business. 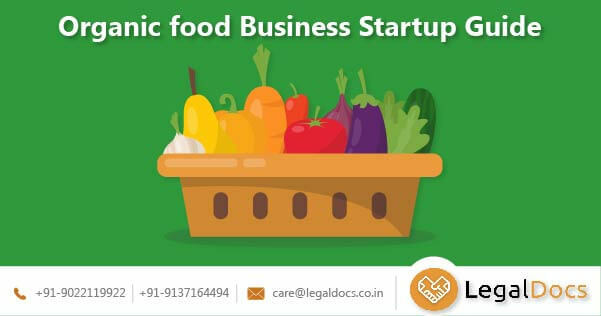 To begin with, any organic food business, be it manufacture, process, distribution, or sale, one would face many challenges plaguing the industry and organic food business environment. Market opportunity: Before entering into any business, it is always good to keep a check of the background of the business and the industry. Therefore, when it comes to the organic food market, there are growing instances of organic food adulteration. This has been witnessed repeatedly across the globe. Food safety legislation are working to improve safety standards. At the same time, consumers are increasingly willing to pay more for safe and quality organic products. Understanding the target audience: The new generation coming up is educated and smart. There is rising preference to eat healthily. Youth prefer to spend on eating healthy rather than spending on medical bills. Therefore, they are ready to adopt new and improved Food Business articles. Health has been given priority over prices. Better spending power, growing awareness, growing popularity have made sure that organic products find a place in the buying baskets. It thus seems that the market for organic food is everywhere. However, the challenge is to locate the potential buyer. Growth opportunity: Organic food products are something that falls high on scale and margin in terms of the opportunity basket. However, the challenge here is driven by the fact that the organic food consumption is not even 0.1% of Indiaâ€™s $ 300 billion total annual food consumption. Overall, the share of India in the global organic food market is less than 0.2%. The scale of opportunity has though expanded due to the rising e-commerce channels emerging for the sale of the products. Also, an organic food supply chain is more efficient than a conventional agribusiness supply chain. There are fewer intermediaries and therefore, better traceability of products. It is for this reason that the organic products of North East India like Pineapples have gained popularity and expanded its reach. The supply chain is underdeveloped: small and medium-sized farmers are mostly located in hilly areas and tribal belts. It is extremely difficult for them to have access directly to the markets. Further, organic products require separate storage from conventional products to avoid cross-contamination. Shortage of packaging houses and refrigerated vehicles lead to spoilage of products. On one hand, the government is subsidizing farmers under the Participatory Guarantee System (PGS). This is a certification process supported by Pradhan Mantri Kaushal Vikas Yojana (PKVY) scheme. However, these farmers are not allowed to export. The Agricultural and Processed Food Products Export Development Authority (APEDA) mandates third-party certification for exports. This is important because unless farmers in India are allowed to export under PGS, they will not be able to earn a premium price. Their risk of loss of yield when the farmer decides to shift from conventional chemical-based farming to organic farming. This requires the government to offer subsidies to compensate for the loss of yield initially. Currently, there is no such subsidy offered by the Government of India. Also, post-green revolution, a majority of the budget is allocated to chemical-based inputs and high yielding variety of seeds. Some states offer less than two percent of the budget to organic farming. Converting one or some pieces of land to organic farming may not solve the purpose. This is because contamination of yield is possible through air and water sources. Some states like Sikkim, have been declared organic states as they produce only and only organic products. Such government policies encourage farmers to adopt organic farming practices. A serious shortage of good quality organic inputs also increase the risks related to loss of yield. The availability of organic fertilizers is low in quantity. Also, there are not many serious players supplying organic inputs in the market. There is a need for a policy on input standardization. Different varieties of crops grown in different areas face different issues. These issues are crop specific and region specific. It requires more research and development to develop their yields. Lack of necessary equipment to farmers has brought huge losses to farmers. For instance, in 2015 fruit flies in Sikkim have to lead to the destruction of orange yields in the state. Basic equipment includes netting and poly-houses protect crops from insects. Labeling: The Food Safety and Standards Authority of India (FSSAI) has made it mandatory to label the products that are organic. It has issued regulations that require food companies that are selling organic produce. It requires to get certified by any one of the authorities; National Programme for Organic Production (NPOP) or the Participatory Guarantee System for India (PGS-India). Companies dealing in organic produce can get a voluntary logo from FSSAI such that the product is named organic. Third-party Certification: One may also choose to get domestic and international certification in green expertise. An eco-label is a seal of approval and also helps to promote environmentally safe products and services. This is important to market the business and also to foster trust in the minds of the customers. Nearly 24 agencies are authorized by Ministry of Commerce for certifying general exports. The unified regulation on organic foods has kept the spirit of one nation, one law alive. The year 2017 was marked with the launch of â€˜Jaivik Bharatâ€™ logo and â€˜Indian Organic Integrity Database Portalâ€™. Various state governments have also set up their own certification bodies and have taken initiatives to promote and develop organic farming and manufacture, process, distribution, and sale of organic produce. what licence should i take to start a protein powder business?